Way back in October, I spent the weekend with one of my favourite couples and best friends Rosie and Laura. We were looking at prospective wedding venues for their 2015 wedding, and I gained a little bit of insight into how difficult it can be to plan your wedding. I've not even skimmed the surface of the wedding industry yet and already at times I find it vacuous and too full of 90's word art... But, there's a strange parting of ways within the wedding industry. On the one hand I see the traditional, the swirly fonts, the badly processed photos, the all round uninspiring. On the other I see the 'alternative'. A new world to many but one that has been growing for many years. Yet this new breed of wedding vendor brings with it a whole set of new pressures. 'Be different' is the name of the game. You should have a wedding that stands out, that is bloggable and remarkably different in some way. I see a wealth of new photographers following the alternative trend. Eagerly taking photographs that mirror another photographers style. Truth be told I've been guilty of this too. I've spent untold hours comparing myself to other photographers. There's so much competition, so much pressure - that just like couples, we end up getting lost. We forget to really look and to tell stories authentically. 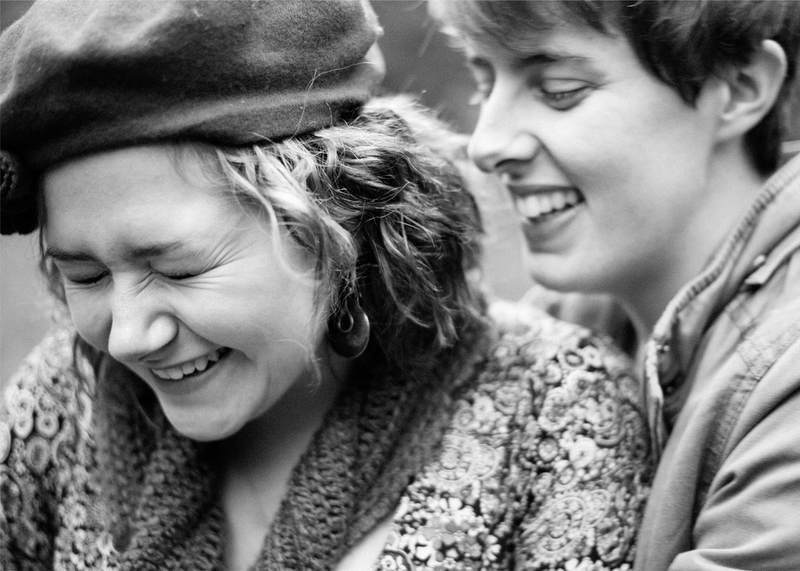 and when I got back from that weekend I almost over looked these photographs of Rosie and Laura, discounting them as they’re a bit out of focus and grainy… but then I really looked... and I realised. This is them.